This easy to use ankle holster is made of Ballistic Nylon and comes with a calfstrap. 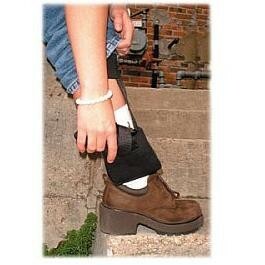 Fits the right or left leg firmly with it's velcro strap and velcro closure. Comes in black only. One size fits all. The holster will fit most small autos and it's ideal for snub nose revolvers with 2" barrels.